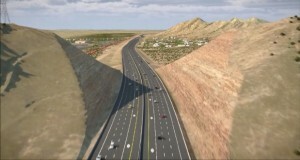 The proposed South Mountain Freeway, which would complete the Loop 101 and Loop 202 freeway systems, is expected to receive final approval early this year. The question of whether “dreamers” can keep their Arizona driver’s licenses could depend on who a federal judge believes first came up with the idea to reject them. Gov. Doug Ducey announced that he will hold onto several of his predecessor’s agency directors, including the heads of AHCCCS, the Arizona Department of Corrections and the Arizona Department of Transportation. Forced to surrender on “dreamers,” Gov. Jan Brewer is denying licenses to drive to a potentially more vulnerable group of migrants: domestic violence victims. Come Monday, thousands of dreamers can get in line at the Motor Vehicle Division to apply for their licenses to drive. Arizona dreamers went to bed Tuesday night still not knowing if the U.S. Supreme Court will allow them to drive legally. But what the justices think, at least now, may not matter. If they do not act, then the legal wheels start in motion and the state will be told to start issuing licenses. Plans for a 22-mile extension of the Loop 202 freeway around the Phoenix area's southern edge are nearing final approval, and the owners of about 200 homes have been told to get ready to find new places to live. When Jim Stack bought his Ford Focus electric plug-in, his passion to keep emissions out of the air was broadcast to the world. He can even drive across the country and not pay a penny in driving costs.